Of all the treasures about submarine lore that have been recorded, very few meet the level of excitement for me than the book listed in the title to this post. 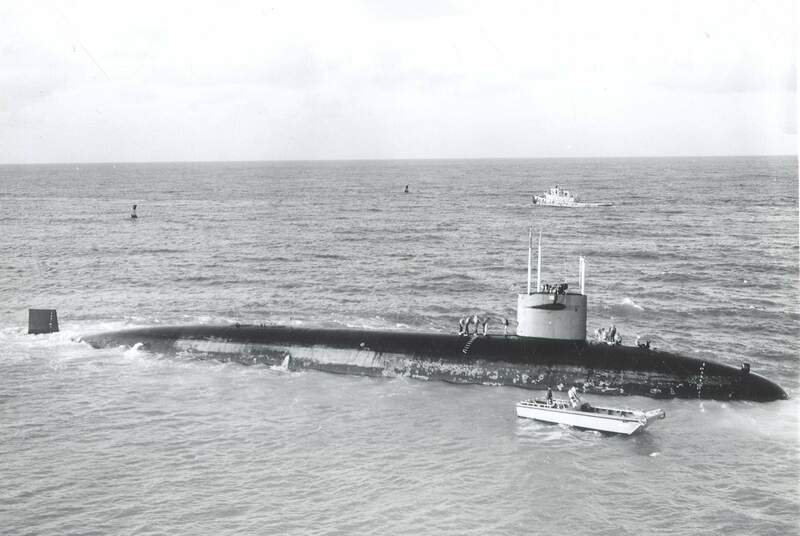 When Admiral Rickover originally wrote his letters about the men who make up what we now know as the submarines of the 41 for Freedom submarine force, he sent them to members of Congress and the administration. His intent was to show the real connection between the heroism of the founders and the continued heroism of the principles they embodied in this new breed of submarine. “Ever since the ﬁrst nuclear submarine – the USS Nautilus -went to sea in January 1955, I have been responsible for directing the initial sea trials of each of our nuclear ships so as to make sure that their nuclear propulsion plants functioned properly and that the ofﬁcers and men had been well trained. In reading the book, a few things stood out. The first is the mind of the man who wrote them. My earliest encounter with the Admiral was when he was very advanced in age and I was in my twenties. He was present for the sea trials on board the USS San Francisco in the Atlantic and his presence was indeed remarkable. But I had always seen him as an engineer who was driven by an almost demonic devotion to a single purpose: nuclear power. Having a shipmate show me this book was indeed an eye opening experience. I no longer saw the crotchety old man with a penchant for certain types of candy and fruit that must always be present when he s on board. This man was a mental giant who deeply cared for the country. His thoughts are relevant even today, more than thirty years after he left this earth. It is stunning to see how close to reality his predictions were as he penned this book. The second thing that stood out was the depth of the connectivity he created between the men and their times. The engineer that he was could have just focused on the hard facts; dates, places, names, events and so on. But Rickover spent a lot of time in creating the story that you would expect from a more seasoned writer. Most importantly, he took the time to draw the readers’ attention to the historical significance of the men in their time frame of our history. That explains why Adams surely had to follow Washington in the book. “This broader interest in the history of the United States led me to the conclusion that I should try to reﬂect in these biographical essays some of those historical themes which seem to me to have particular relevance for the kinds of problems our Nation faces today. Since I can lay no claim to being a professional historian, I would not want to suggest that these essays contain anything really new and original. But as a life time student of history and as one who has spent many years in intimate contact with virtually every aspect of our Federal Government, I thought my observations on these matters might be of some interest. I therefore decided to use the careers of the men for whom the Polaris submarines were named as the focus for essays which would be broad enough to include some of the signiﬁcant events which occurred during their lifetimes. “The order in which these essays are printed, therefore, is not necessarily the order in which the submarines were commissioned. For example, the essays on Clay, Webster and Calhoun follow each other because the lives and actions of these men encompassed the great and divisive issues of States’ rights and slavery. The stories in this series are certainly about the boats of the 41 for Freedom generation. But I hope you have as much excitement about what Rickover was trying to teach the leaders of the country in what was a very difficult time. In 1972, the United States was being torn in pieces by the Vietnam War, students rejecting the pathways of their parents, religious upheaval in many of the mainline churches, the sexual revolution, women’s rights, equal rights, and the impending crisis that would be known as Watergate. As the ink was drying on his book, America would find itself tested. It is the power of the contributions of those men from the 41 for Freedom group that made sure we would survive all the chaos that ensued. It was also the vision of men like Admiral Rickover.